This split was decided as most heavier weights tend to do better in the absolute divisions, also the competitiveness of the lower weight divisions is arguably not as high as some of the others. But if you are not interested in these, we also have a pound for pound best in BJJ, the open weight list. The scoring system remains the same as before. The points are awarded per medal in the black belt division of all 4 major competitions of the sport. The two main competitions (World Championship/Mundial and ADCC) were given more relevance as they are the cream of the crop of BJJ tournaments while the other two (that arguably are just as hard as the aforementioned) are seen as lower in overall significance. At the top of the lighter weights ranking is Rubens Charles, the king of the featherweight division for 4 years straight who added another world title in 2017 at the age of 37. This Alliance team member made the De-La-Riva guard his weapon of choice during the 2000’s, being a strong influence in the evolution of the guard while having greatly evolved other aspects of the game in his approach to jiu jitsu training – this being supported by Cobrinha’s longevity in the sport and the results of his students in a competitive environment. 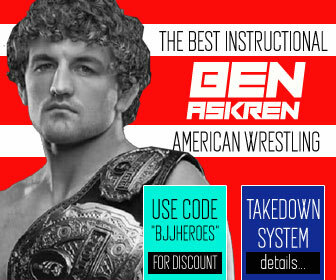 One of the most creative grapplers of all time, the Alliance Academy prodigy stayed at the top of (arguably) the most stacked division in Brazilian Jiu Jitsu for years on end; mastering a variety of techniques from arm drags, to his famous marcelotine, north-south chokes, X-Guard, Single X and others. Marcelinho has helped shape the landscape of Jiu Jitsu both in kimono and in No Gi. Alexandre Ribeiro and André Galvao have been battling for the top of the list for quite some time, though in 2018 Ribeiro’s longevity in the game finally outlasted Galvão’s #1 rank. 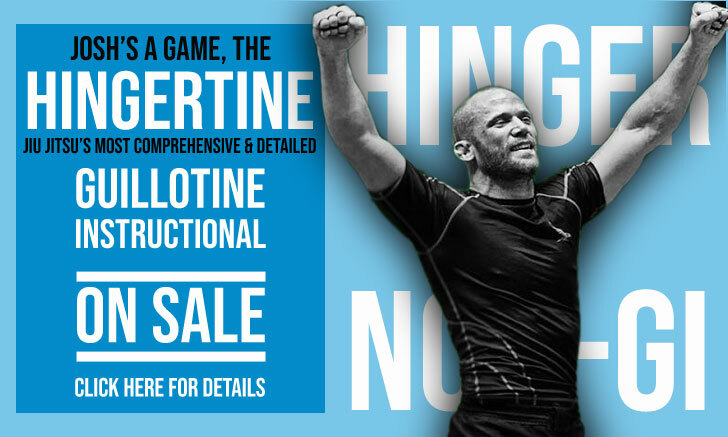 Known for his cerebral approach to BJJ, an intellect he has used to defeat great names of the sport such as Marcelo Garcia and Roger Gracie, Xande brought excellent stand-up to the division, as well as fantastic pressure when passing the guard, and a guard that was only passed two times in his career. A complete player, it was Ribeiro’s hability to mix and match these weapons on demand that earned him the claim of Best of All Time. After many years reigning supreme as the heavy/ultra-heavy weight king, in 2018 Roger Gracie was finally dethroned by the magnificent Marcus Almeida, commonly known as Buchecha. A product of the Checkmat academy, Almeida had sequential double gold medals at the IBJJF World Championship since 2012, having only failed to hit the double in 2015 due to injury, and 2018 by forfeiting the last match to an injured Leandro Lo. Without a shadow of a doubt the most accomplished competitor of his generation and one of the most dominant grapplers of all time. NOTE: When assessing the points accounted for in this exercise of the “Female P4P List” please keep in mind that these were only scored when the medal was earned with at least 1 match victory. No participation medals were accounted for. Furthermore, medals were accounted for in mixed belt divisions (purple to black, or brown to black), even when the athlete was not yet at the black belt rank. A revolutionary of the game, Michelle Nicolini ruled the jiu jitsu landscape for a span of nearly 10 years, competing mainly in the light featherweight division, though also venturing into other weight classes when searching for new challenges. Her guard game changed the sport, particularly her use of the chin-on-chin guard and her effective toe hold/toe hook, and although she decided to give more emphasis to her mixed martial arts (MMA) career at the hight of her grappling one, Nicolini will always be remembered as one of the greatest jiu jitsu competitors who graced the mats. Rickson Gracie: Often regarded as the best Jiu Jitsu fighter of all time, Rickson competed for years in hundreds of matches in several different disciplines (No Holds Barred, Brazilian Jiu Jitsu, Sambo, etc) with the only loss on record coming in a Sambo competition by points. Rolls Gracie: Rolls is another member of the Gracie family that is always present as one of the top athletes of all time, he was a creator of positions and one of the first people in Jiu Jitsu to believe in cross training, bringing a lot of Judo and Wrestling techniques to help grow BJJ. He was also the family’s top competitor in the 1970’s, ending his reign undefeated. Cássio Cardoso: A student of Carlson Gracie, Cassio only had one loss in his competitive career, a loss to Marcelo Behring (which he avenged afterwards in an epic 90 minute battle). Cassio was regarded as the best student in the Carlson Gracie gym and one of the most complete fighters that ever lived. 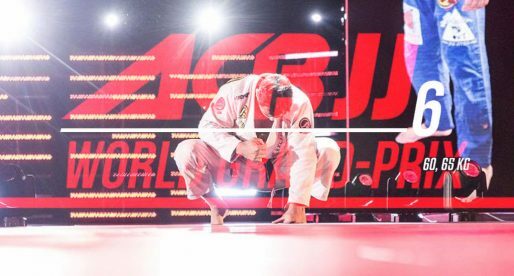 João Alberto Barreto: Famous for being Gracie Jiu Jitsu’s top representative in the 1950s, Joao Alberto spent his entire career without tasting the bitter flavor of defeat. He competed extensively (mainly in Vale Tudo matches) and is known to have never lost a fight. 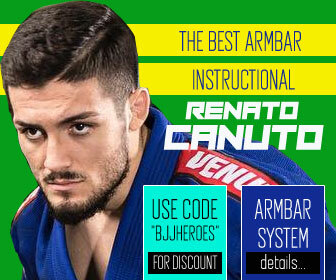 Amauri Bitetti: the first open weight world champion, a deed he accomplished twice in his career, Amauri Bitetti was one of the top competitors of his generation, considered by most as the top man in BJJ after Rickson Gracie hung up his Jiu Jitsu gi. ADCC News: Xande, Cavaca and Frazatto are in! Honestly how do you do honorable mentions and not mention Jean Jacques Machado, all the other guys you mentioned also did not compete in major tournaments or there was poor record keeping like you said. Jean Jacques was definitely one of thos guys, he competed in like the 1st or 2nd ADCC and was the only man to win every match by submission. His contribution to nogi has been huge and to the gi as well. If Bibiano Fernandes hadn't switched to MMA, he'd be on this list. 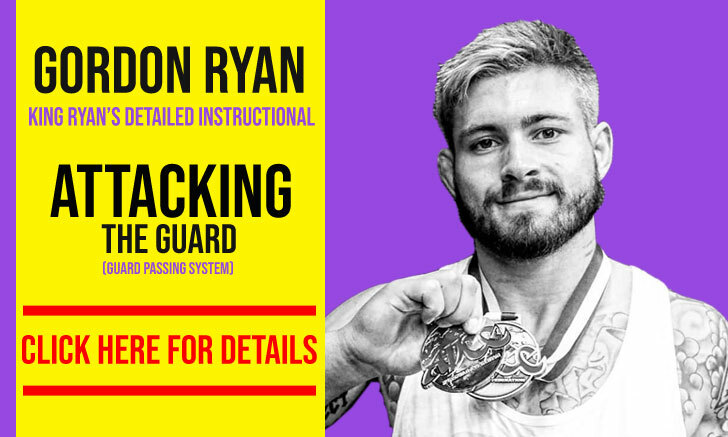 He was racking up Golds at the world level when he transitioned. Take the 3rd place out of count to Xande e Saulo they tie! I think I have 41 points can u guys check I did I quick think. If I’m 41 I should be on the list .i not sure . Hey Romulo, just checked and you are right. You actually have 45 points, so I've added you to the list. The list was made over one year ago, so there might be some changes to it soon. Roger Gracie has won 10 times at the worlds! great article, and it spurred comments, thoughts and debate. sure, I want de la riva in there but the writer was fair and did a great job. nice to be reminded of the founding fathers of bjj! 10 + 3 = 13 for Roger's Mundial titles, not 5 as listed. maybe someone already commented on this, but you might want to update your table. P4P I believe Marcelo is the best. Consistently outweighed in the Absolute division, he has competed at the highest level. Technique be damned. When you are competing against competitors who are equally or near equally skilled, the weight difference matters. It's interesting that so many people critique the list. I think it's a terrific resource that you made the list at all! The only way to compare an athlete is by their achievements. The only people who have problem with this method of classification are people who do not compete, and a few competitions, do not make you a competitor. BUCHECHA????? Buchecha should be on here. The list cannot be complete without buchecha!!!! Eu acho que o absoluto do ADCC deveria valer bem mais, já que o campeão não tem outras oportunidades de disputar. Assim Roger iria pra primeiro do ranking. Parabéns pelo trabalho, melhor e mais completa fonte de informação sobre jiu jitsu brasileiro que eu conheço. Melhor que isso só se tivesse também em português, para que os próprios brasileiros possam conhecer mais sobre a arte suave. Why are guys like Helio and Carlos Gracie not here? 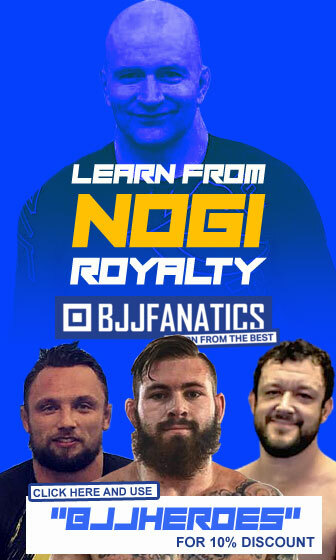 There are suppose to be founders and are of the highest rank in the entire BJJ discipline? Don't tell me the students or the competitors are better than them? Points here should’ve been weighted more like in the top active fighters list. I dont see how Roger Gracie can be tied for #2 w 12 world titles. How is there even a question he is #1?!? Having non golds at non world championships shouldnt be able to trump that. I do enjoy your site and i enjoy the list. i am disappointed that there are athletes with more world titles than those on the list that are not listed here. Also why not include a list of instructors or those who’ve made contributions to the art separately? Not all competitors contribute & vice a versa. What about Bruno Malfacine? Based on the scoring system, my calculations have him at 54 points? Leaving off the 27 times Mundials champion Renato Laranja? Blasphemy! Rafael Mendes Will be in the top 10 soon, he is only 24 and maybe not even in his prime. Hannette Staack probably has close to 60 points, but I guess women don't count or something. Wtf wheres Rickson? Where is Dean Lister? Wheres Jacare, this is a silly list. No Rigan or JJ Machado? Spierry? There were studs before your point system was in place…1996 Mundials started? If you take into the account the number of times the person competed at those events Roger stands out as the clear winner. Helio”Soneca” Moriera should be on the list. 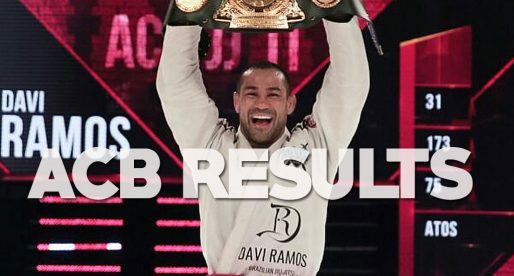 i know this is based on achievments in bjj competitions…..but i think it is artificial without someone trying to punch your brains out so i think jacare, nogera, frank mirr, and aderson silva deserve some credit because i believe a pro cage fight is way more realistic way to test your jiu jitsu ability……….and finally the simplification of marcelo garcia's techniques makes him #1 because he actually finishes with subs…..he made the guillotine, north south, RNC , and butterfly guard wayyyyyyyybetter!……he is the best instructor at least! There is a seperate list for BJJ fighters in MMA. Wow, all you guys demanding people to be on the list are just stupid trolls. Why is it so hard to see why and how the list was created. If you don't like the list, pay for a URL yourself, make your own list and have your own successful website. Any negative reply or objection to my post means your stupid. (And they will still respond). Awesome List!! Has a pretty clear rule instead of particular opinion!! I saw many people complaining.. who is complaining didn't read the inicial explanation.. simple as that!! Thanks Victor. It’s hard to get people to read through 🙂 In the words of Frank Constanza: Serenity now! 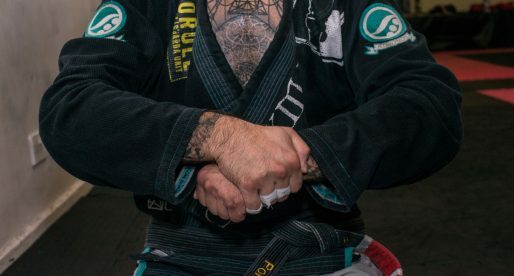 I'm a new BJJ practitioner and want to learn more about the history outside just the legendary Gracie family. Where does someone like Ronaldo Souza or Robert Drysdale rank among these other competitive?? Why is Michelle Nicolini not on that list??? This list simply shows quantity over quality. If a black belt competed 100 times as much Xande, winning all bronze medals, he would be #1, but clearly not the best of all time. The methodology is broken. Roger has a sufficiently large data set, and a higher quality track record than Xande, not to mention he has beat Xande 5 to 3. Roger > Xande due to his higher percentage of golds. Could you please let me know how JJM is not on this list, thank you. Can you tell me why you didn't read the article and yet find time to complain? Why isn't Royce Gracie listed in any of the lists? Because he never took part in bjj competition.he is famous for mma fighting . Other fighters that deserve an honourable mention: Carlos Rosado, Ricardo Liborio, Ricardo De La Riva, Sergio Penha and Roller Gracie.